Time had nominated Tim Cook, Apple’s CEO as a candidate for the Person of the Year. 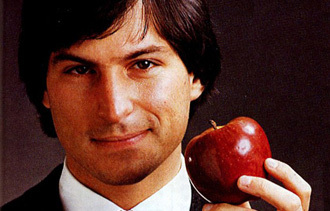 Will Cook be able to make Apple come out with another revolutionary product, revealing to us what Steve Jobs saw in Cook. In any case, here is how Cook was recruited by Jobs to Apple. HP once was the icon of good management. But for the past 10 years it has gone through several CEOs and the middle of a turnaround has to write off $9 billion dollars because it acquisition of Autonomy turned out to be a fiasco. HP alleges that Autonomy mis-represented its financial worth. 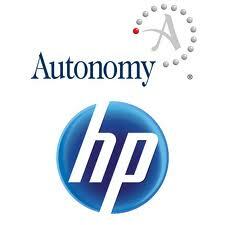 The founder of Autonomy claims that HP destroyed Autonomy within one year. But here is also a voice that articulates that if you are buying a company to secure your future, many deals will go wrong but some may go right and prevent you from becoming irrelevant. Acquisitions is like doing R&D with a high failure rate. Tim Cook take his first major step of reshaping the top executive ranks at Apple. It appears that a battle was brewing within Apple for some time about key design philosophies. 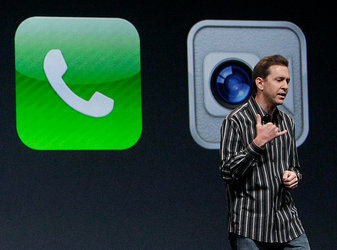 Scott Forstall, who apparently has been branded as not being a team players, stumbled of the debacle with the Apple maps. Vikram Pandit’s last day at Citigroup swung from celebratory to devastating in a matter of minutes. Having fielded congratulatory e-mails about the earnings report in the morning that suggested the bank was finally on more solid ground, Mr. Pandit strode into the office of the chairman at day’s end on Oct. 15 for what he considered just another of their frequent meetings on his calendar. Michael O’Neill is said to have begun building a case to force out Mr. Pandit after Mr. O’Neill became chairman in April. Read full story on NY Times. You may not have heard it. Magazines, unlike newspapers, are continuing to do well in the age of the internet. But this is apparently not true for News Weeklies in the USA. Newsweek today announced that it will stop its print edition and focus on an electronic edition. The LA Times provides the details. Read Story. Microsoft is rumored to imitate Apple’s strategy of making both software and hardware. Microsoft (MSFT) is currently in the midst of a major transition unlike anything the company has dealt with in the past. According to our own sources and multiple subsequent reports, Microsoft is working on its own smartphone. While this would mark the first time Microsoft has launched a self-branded smartphone (we’re not counting the KIN), the implications for the company are much greater than just a phone. Noted industry insider Eldar Murtazin has written a lengthy piece on the company’s upcoming Windows Phone plans, but has also explored some of the reasons why Microsoft is being forced to make its own tablets and smartphones, and most likely its own laptops and desktops as well in the near future. T-Mobile buys and merges with Metro PCS: Will it succeed? After the government did not allow ATT to buy T-Mobile, T-Mobile needed to find a different way to achieve scale and cut costs. Today it announced buying and merging with Metro PCS. Will the firm be able to avoid the fiasco of the Sprint/Nextel merger? T-Mobile and MetroPCS will continue to operate as separate brands. Throughout the morning, T-Mobile executives sought to allay one of the biggest concerns about the merger, the incompatibility of the company’s network with MetroPCS’ own. John Legere, who will become the chief executive of the combined network operator, argued that the company will slowly move MetroPCS’ customers to its own GSM standard — with the goal of moving the unified entity to the Long Term Evolution technology down the road. The aim was to avoid comparisons to Sprint’s merger with Nextel, which failed at the same task and left that merged company in a far weaker position. HP has been falling behind Apple and Google and the race to be the leading Silicon Valley company. Now Meg Whitman is trying to turn this former star company around. The NYT reports. 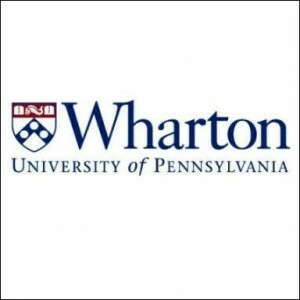 So now Ms. Whitman is focusing her energy on H.P., the company founded by the tech legends William Hewlett and David Packard. Bill and Dave, as they are referred to at the company, spawned Silicon Valley. Last year, H.P. posted revenue of $127 billion. It employs 320,000 people directly, and easily that many again through a network of manufacturers and computer resellers across 170 countries. TWENTYyears ago, people like Steve Ballmer at Microsoft, Larry Ellison at Oracle, and John Chambers at Cisco Systems heard Kenneth Olsen, then the leader of Digital Equipment Corporation, deride the PC as unsuited for business. Within a few years, DEC had been gobbled up by Compaq Computer. Everyone knows viscerally how fast change can overtake a legacy business — and how hard it is to change. There’s little glory in managing decline, particularly in an industry in love with what’s next. Apple’s tablets are taking share from PC makers like H.P., but only after Apple had a near-death corporate experience that ended with the return of Steve Jobs. He created a new reality for Apple with its retail stores, something that H.P. can’t copy to sell PCs. I.B.M. also transitioned successfully after billions in losses and years of cuts. Most others ended like DEC. 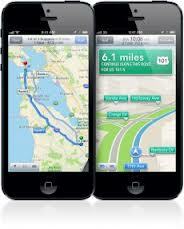 Yesterday the Apple CEO apologized for Apple’s crummy maps application in iOS 6. The WSJ reports on the financial reason why Apple wanted to dump Google maps. Maps are a big piece of the Apple-Google rivalry. Opus Research has estimated that mobile ads associated with maps or locations account for about 25% of the roughly $2.5 billion spent on ads in mobile devices in 2012. Google has had mapping software since 2005, and a Google Maps app was pre-installed on the first iPhone starting in 2007. Apple only began building its maps software in 2009 under Mr. Jobs, with an eye toward making its version the default mapping app on the iPhone and, later, the iPad. Apple acquired several companies to construct its mapping technology, as well as using information from third parties, such as navigation system maker Tom Tom NV, before it was ready to boot Google Maps.